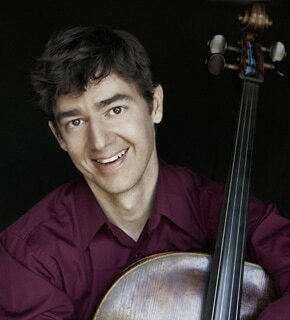 ​CELLIST Raphael Bell is co-founder and co-artistic director of the Charlottesville Chamber Music Festival (CCMF). He is the principal cellist of the Royal Flemish Philharmonic in Belgium and a founding member and Artist-in-Residence at La Loingtaine near Paris, performing throughout the year with La Bande de La Loingtaine, leading its Academy and giving master classes. A graduate of The Julliard School, he has collaborated with musicians such as Steven Isserlis, Martha Argerich, Maxim Vengerov, James Ehnes, and Ivry Gitlis. ​VIOLINIST and VIOLIST Timothy Summers is co-founder and co-artistic director of the CCMF and second violinist of the celebrated Orpheus String Quartet. A member of the Mahler Chamber Orchestra since 2009, he has also appeared in concert at the Wiener Festwoche, the Schumann Festival in Düsseldorf, the Berlin Philharmonie, Schloss Elmau in Germany, and Ferrara Musica in Italy. Mr. Summers has performed at chamber music festivals across the world, including Toas, Tanglewood, Banff, Sarasota, Richmond, and Staunton. Hailed as “the future of chamber music” (Strings), Brooklyn Rider offers eclectic repertoire in gripping performances that continue to attract legions of fans and draw rave reviews from classical, world, and rock critics alike. Last season, the group celebrated its tenth anniversary with the groundbreaking multi-disciplinary project Brooklyn Rider Almanac, for which it recorded and toured 15 specially commissioned works, each inspired by a different artistic muse. This season, Brooklyn Rider releases an album with Anne Sofie von Otter entitled So Many Things, and will tour material from the album and more in the U.S. and Europe, including stops at Carnegie Hall and the Opernhaus Zurich. ​Praised by critics for his passionate expression and technique, PIANIST Andrew Armstrong has delighted audiences internationally and the United States, including performances at Alice Tully Hall, Carnegie Hall, the Kennedy Center, the Grand Hall of the Moscow Conservatory, and Warsaw's National Philharmonic. While a member of the Caramoor Virtuosi, Boston Chamber Music Society, Seattle Chamber Music Society, and the Jupiter Symphony Chamber Players, Andrew is also devoted to outreach programs and playing for children. ​Described as “a lyrical musician who plays with authenticity” (Grand Rapids Press) Joseph Conyers serves as assistant principal bassist of the Philadelphia Orchestra. Previously, he was a member of the Atlantic Symphony, the Santa Fe Opera Orchestra, and was principal bass of the Grand Rapids Symphony. He also is heavily involved in music curriculum development for the Atlanta Symphony’s Sound Learning program. Joseph is a 2004 graduate of the Curtis Institute. 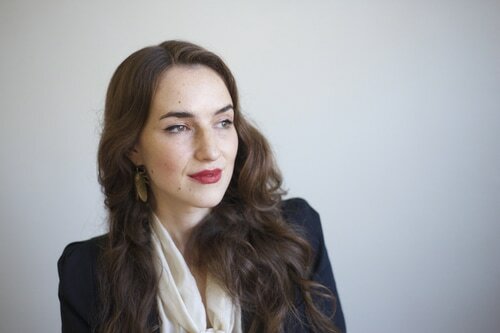 ​Ariadne Greif, praised for her “luminous, expressive voice” (NYTimes) and her “mesmerizing stage presence” (East Anglian Daily Times), has worked with the American Symphony Orchestra and Greater Bridgeport Symphony. Chamber music concert performances in 2015/2016 included venues from Carnegie’s Weill Hall, Le Poisson Rouge, to Canada and the Middle East. She also created and executed a twenty-composer commissioning project of her own, called Dreams & Nightmares, subject of an upcoming documentary, Only a Dream. ​The recipient of a 2016 Avery Fisher Career Grant, VIOLINIST, Alexi Kenney, has been named "a talent to watch" by the New York Times. His win at the 2013 Concert Artists Guild Competition led to a Carnegie Hall debut recital. Recent highlights include debuts with the Detroit, Columbus, California, and Amarillo symphonies, and return engagements with the Santa Fe Symphony and the Las Vegas Philharmonic. Alexi holds a Bachelor of Music from the New England Conservatory. 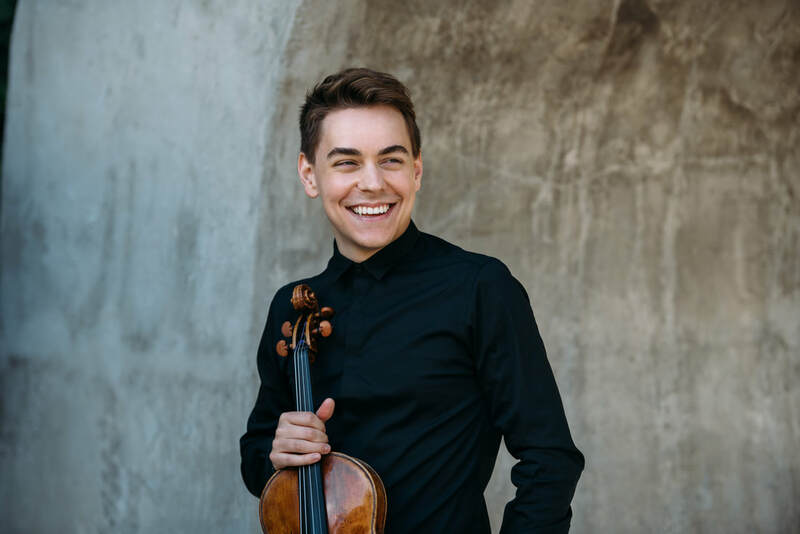 ​American VIOLIST and 2015 Avery Fisher Career Grant recipient Matthew Lipman has been hailed by the New York Times for his “rich tone and elegant phrasing”. His debut recording of Mozart’s Sinfonia Concertante with violinist Rachel Barton Pine and The Academy of St Martin in the Fields with Sir Neville Marriner reached No. 2 on the Billboard classical charts last year. This season, Mr. Lipman will debut as soloist with the Minnesota Orchestra and Illinois Philharmonic. ​American baritone Thomas Meglioranza, NARRATOR, was a winner of the Walter W. Naumburg, Concert Artists Guild, Franz Schubert/Music of Modernity, and Joy In Singing competitions. Highlights from the 2016- 17 season include an all-Hugo Wolf recital at Lincoln Center’s Mostly Mozart Festival, as well as the role of Lord Henry in Lowell Liebermann’s The Picture of Dorian Gray with Odyssey Opera. His program of songs from the WWI era was named one of the “Top Ten Best Classical Performances of the Year” by the Philadelphia Inquirer. ​CELLIST, Clancy Newman, a Juilliard and Columbia University graduate and first prize winner of the prestigious Walter W. Naumburg International Competition, has had the unusual career of a performer/composer. Clancy has been a featured composer on the Chamber Music Society of Lincoln Center’s “Double Exposure”. He has performed as a soloist throughout the United States and internationally. Clancy can often be heard on NPR’s “Performance Today” and has been featured on A&E’s “Breakfast With the Arts”. VIOLINIST, Sharon Roffman, a graduate of the Juilliard School and the Cleveland Institute of Music, made her Carnegie Hall debut as a soloist with Itzhak Perlman in 2004. Ms. Roffman has collaborated with members of the Guarneri quartet, Juilliard Quartet, and the Shanghai Quarter, and has been a frequent guest of the Chamber Music Society of Lincoln Center’s Inside Chamber Music series. She recently created an online elementary school curriculum for the Australian Chamber Orchestra. ​PIANIST, Mimi Solomon, regularly appears in chamber music festivals across the United States and is featured on many radio and television broadcasts. She is the pianist of Trio La Loingtaine, the Ikarus Chamber Players, and the Cristofori Piano Quartet. Recent highlights include performances at Albert-Konzert in Freiburg, Queen Elizabeth Hall in London, the Myra Hess Memorial series in Chicago, Lockenhaus Festival, as well as trio concerts in Japan's Suntory Hall and Alti Hall. PIANIST Jeremy Thompson earned a DM in piano performance from McGill University in 2005, where he held two of Canada’s most prestigious doctoral fellowships. During his studies he performed with such orchestras as the St. Petersburg State Academic Orchestra, the Saratov Philharmonic Orchestra, the Georgian National Orchestra, and the McGill Symphony Orchestra. He is Director of Music at Charlottesville’s First Presbyterian Church and leads the Music on Park Street Concert Series.